When you want to raise money or publicize events, it's vital to be able to reach your audience quickly. ProTexting provides the tools that let you do this. 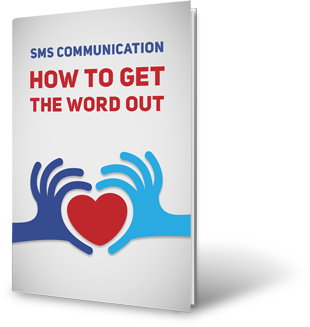 SMS is the ideal platform for reaching out to your members and keeping them engaged. With text messages, you can reach people wherever they are and they're more likely to open a text message than an email. Everyone with a mobile phone can connect and donate via SMS! Recruit New Members - Create keywords that make it easy for people to join your organization. Advertise this on flyers, billboards, your website, business cards, print ads or anywhere else. Organize Volunteers - When you need people to work booths, mail letters, send emails, make phone calls, or attend a rally, how do you reach them? Texting is by far the most efficient method. Solicit Donations - Raise money by soliciting with text campaigns. You have to be careful about overdoing it, however or people may unsubscribe. Coordinate Events - Tell people where and when the event is taking place. Inform attendees of speakers and schedules. Give directions. Texting is the best way to let people know of last minute changes of venue or time. Keep Members Informed - To keep your members active, it's helpful to remind them about crucial causes and developments. You can send out informative texts whenever you want giving people an overview and perhaps a link to more information.